As we are not scholars of Hadith and Tafseer, we cannot claim to understand the orders of theQur’an and Hadith by ourselves. For this reason, Allah (Subhanahu Wata’ala) selects from theUmmah of His Prophet (Sallallahu ‘Alaihi Wasallam) people who are Masters of Islamicknowledge and Islamic Law. Hence, when we need guidance with matters pertaining to Islam,we need to refer to the writings of these pious Ulema (scholars). Let us now examine what the scholars have said about the Meelad Shareef. “To commemorate Meelad Shareef is showing respect for the Prophet (Sallallahu ‘AlaihiWasallam) so long as the Meelad is free from bad things. Imam Suyuti says that to proclaimhappiness at the birth of the Prophet (Sallallahu ‘Alaihi Wasallam) is Mustahab(recommended). Allamah Isma’il Haqqi writes in ‘Tafseer Roohul Bayaan’ that Hafiz ibn Hajar and ImamSuyuti have proven the validity of the Meelad Shareef from the Sunnah and have answeredthose people who call it a bad practice. When Abu Lahab died, someone from his household saw him in a dream and asked him howhe was. Abu Lahab replied, “After parting from you, I am not given any good or relief.However, because I released Thuwayba (Abu Lahab’s slave), I get water every Monday fromthe finger with which I pointed for her to go free and I feel some comfort”. Abu Lahab released Thuwayba after hearing that his brother’s wife, Aaminah (RadiyallahuTa’ala Anha) had given birth to our beloved Prophet (Sallallahu ‘Alaihi Wasallam). “Abu Lahab was a kaafir and he receives a reward for showing happiness at the birth of theProphet (Sallallahu ‘Alaihi Wasallam). It is evident from this that the celebrators of theMeelad Shareef are indeed performing a useful act. Abu Lahab was a kaafir and is rewardedsimply because he released a slave, then what a great reward it will be for that Muslim whospends his wealth for the Meelad Shareef”. “When Abu Lahab, the kaafir, was rewarded for showing gratitude at the birth of the Prophet(Sallallahu ‘Alaihi Wasallam) then what will be the merit of that believing Muslim who showsimmense love for the Meelad Shareef and also spends his wealth towards its enactment? Iswear by my life, his reward, by the eternal Mercy of Allah, will be that he will be enteredinto heaven”. 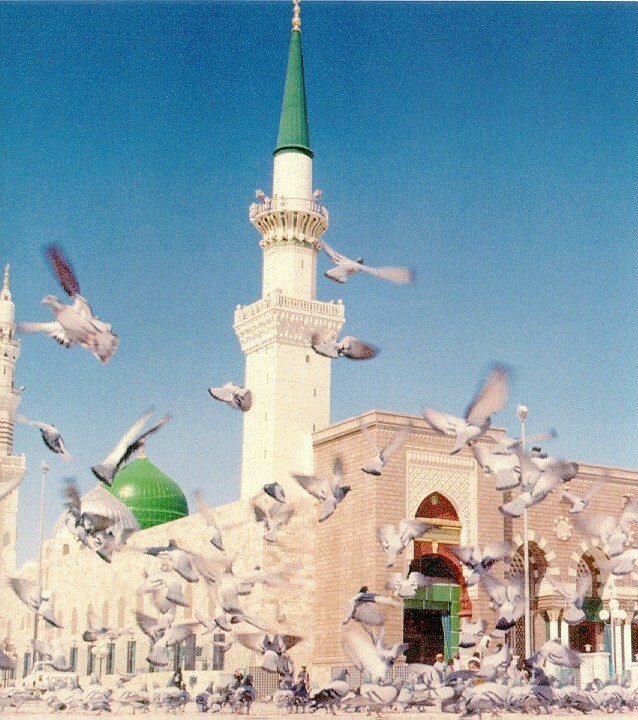 “And the gatherings of Meelad have been occurring always within the Ahl-e-Islam. Alongwith happiness and joy, they cook food and invite others. 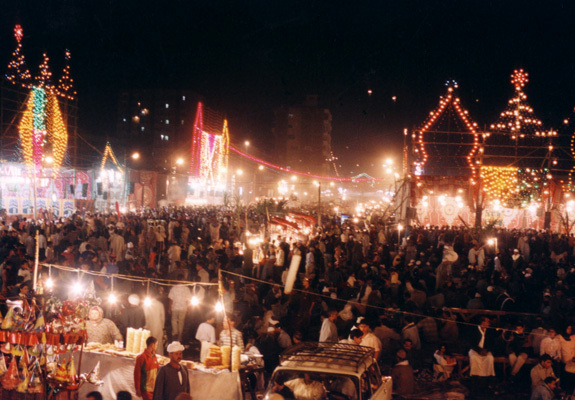 In the nights of Rabi-ul-Awwal,they perform all kinds of virtuous acts and show their gratitude. Therefore, upon such peopleis Allah’s special favour and grace. The year in which Meelad is commemorated, that yearbecomes full of peace and safety. The celebrators’ inner demands become fulfilled. Allahendows great mercy upon that person who made the nights of Rabi-ul-Awwal into an Eid”. Both Allamah Qastalani (in Mawahibul Ladunya) and Shaikh Abdul Haq Muhaddith-e-Dehlwi (in Masabatu Bissunnah) write: “The night of the birth of the Holy Prophet (Sallallahu ‘Alaihi Wasallam) is better than the ‘Lailatul Qadr’ which is better than a thousand months”.